Here is what will be the cover to the new edition of "Public Speaking: Concepts and Skills for a Diverse Society." 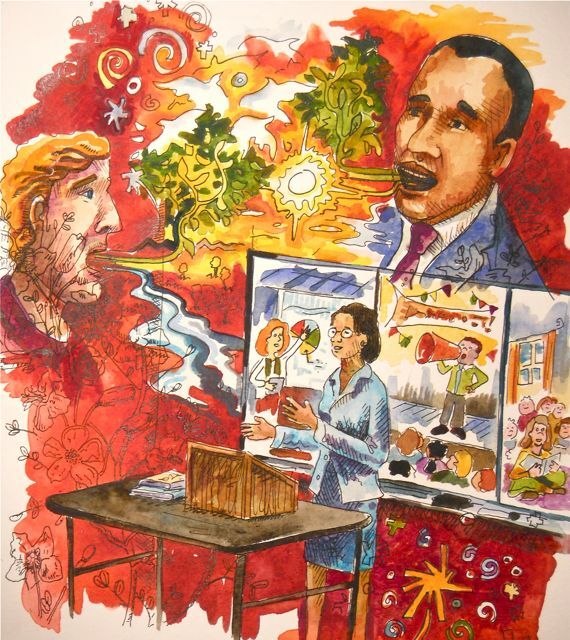 I actually drew several folks speaking at several lectures I attended, using them as the basis for the images. The author and I also spoke of showing a number of public speaking situations in the illustration, so I took advantage of the board behind the speaker, to show a variety of venues. As I commented on Feb 21st of this year I’m working with a communications professor here at George Fox name Clella Jaffe on her public speaking book: Public Speaking: Concepts and Skills for a Diverse Society. I did the illustrations for the last edition, and she’s currently working on a new one. So, for the new edition I’m doing five new illustrations for her including the cover. Thought I’d show you what they look like here! Here is the illustration for the chapter on research. I of course had to throw in a character or two for the image! 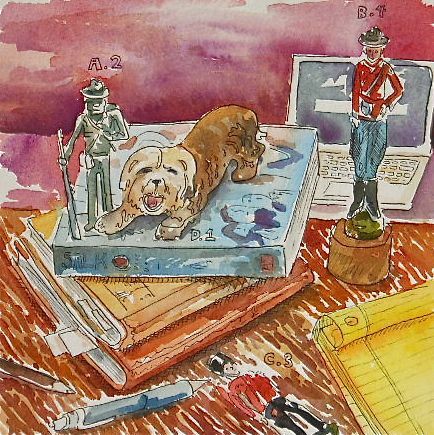 This entry was posted in Curious Endeavors and tagged creating illustrations, Public Speaking: concepts and skills for a diverse society, speaking image, watercolor, watercolor illustration. Bookmark the permalink.